The topic of concussion in sport has certainly caused a great deal of discussion in recent years and provoked extensive debate. On one hand it has been portrayed as a most serious condition that requires extreme caution with catastrophic consequences. While alternatively there still exist attitudes of contempt where the condition is oversimplified and concerns are merely dismissed as over-reactions. There remains a gap between the common understanding of concussion and the reality of its complex nature. It is often assumed that if it is being taken so seriously by major sporting bodies then it must be serious. And while to a large extent this is true, there is a need for us involved in sport, to understand to some degree this complex nature and that there are systematic approaches to dealing with it. It is not logical to use generic protocols that do not allow for individual circumstances for cases that lie outside the normal at either end of the continuum. It certainly cannot be ignored. At the very least, concussion is an injury to the body’s most important organ. Logic alone tells us that we should not expose the brain to further risk until it has fully recovered, just like we would for any other injury. Concussion is more of a clinical judgement made on the balance of probabilities than a specific diagnosis. There is no chemical marker in the blood, no measurement of brain function or reflexes, and no specific clinical sign that defines concussion. In fact contrary to popular belief, only 10 per cent of concussion episodes result in a loss of consciousness. There are as many ways that a concussion may present as the number of people that have presented with it; it is highly individual. There are many signs and symptoms. These include headache, balance disturbance, loss of memory, confusion, mood changes, irrational thoughts and blurred vision. Such symptoms can be immediate or even present greater than 24 hours after an event. 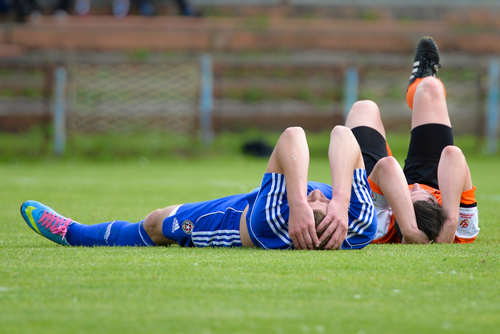 While the complex presentation of concussion symptoms can be highly variable, so too can the recovery of individuals. Recovery is not necessarily related to the seriousness the symptoms suffered. Recovery is also quite difficult to evaluate. Likewise complications of further injury are also difficult to predict. There is however, evidence that people who suffer concussion and are mismanaged are more likely to suffer complications at a later date. It is becoming increasingly important to recognise the possibility of concussion and act on this early to protect a person’s long-term welfare.